Hair extensions are a fun way to experiment with your look, and are great if you’re impatiently trying to grow out a short haircut. Some people are afraid to try hair extensions because they worry that they’ll look cheap or fake, but a reputable salon near you should offer high-quality hair extensions that look beautiful and natural. If you’re looking for hair extensions near Marlton , check out these fun styles you can try with your new hair extensions. The easiest way to achieve curly, tousled hair extensions that look natural is to curl the individual extensions before clipping them in or applying them to your head. Spray your extensions first with a heat-protectant spray, and use a large barreled curling iron on the lowest setting for the most natural results. Curl each weft of hair separately, starting with the widest sections, and making sure that each is even. After clipping in your extensions, run your hands through your hair to tousle the curls and blend them in with your natural hair. 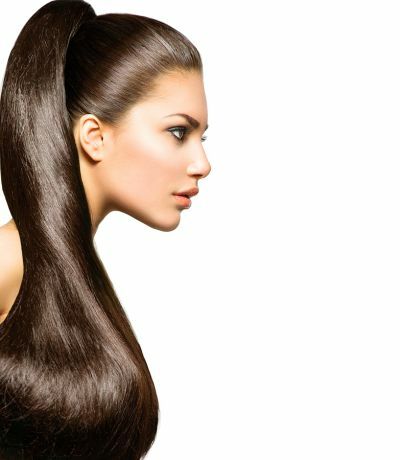 Then, apply a shine-boosting product that is formulated for hair extensions. In order to achieve a natural-looking high ponytail with hair extensions, you’ll have to clip the extensions in backwards. Flip your hair upside down, and begin clipping in the extensions from the nape of your neck, working outwards. Then stand upright and gather your hair into a high ponytail. Use a serum or gel to tame any fly-away pieces of natural hair or hair extensions. Clip in your hair extensions and brush them smooth, letting them blend into your natural hair. This braid works best with long, straight extensions, and can be trick with shorter or curlier extensions. Bring your hair over your shoulder, and divide it into two equal sections. Braid the hair by taking one strand from each section and crossing each over to the other section. Continue braiding like that until you run out of hair, then secure the end with a hair elastic.